Obviously, 2017 has been a tough and difficult time for Wisconsinites like us, who care about honest, progressive, enlightened, open, and transparent state and federal government and politics. With the most dishonest, least qualified person ever to occupy the White House – Donald Trump – and the most regressive, egocentrically hyperpartisan, reactionary Governor in state history – Scott Walker – we have faced some daunting challenges and stinging setbacks: not just since Trump’s election last Fall, but since Walker and an ultra-conservative Republican majority swept into power in 2010 and have been dismantling Wisconsin’s honest, fair, transparent and democratic traditions, ever since. But CC/WI has not backed down and we will never quit standing up for what we all know Wisconsin was once, should be, and will be again – a model and beacon of light for the rest of the nation, not the shameful political backwater we have been transformed into: somewhere between Alabama and Mississippi. The very good news is that we are making progress in advancing our core democratic reform agenda during 2017: nonpartisan redistricting reform, curbing voter suppression, campaign finance reform, recusal for judges receiving campaign contributions, and stopping conservatives from destroying democracy by convening an unprecedented “constitutional convention” to rewrite the U.S. Constitution. CC/WI has led the statewide effort to enact a nonpartisan redistricting process for Wisconsin since 2013, when we united legislators, reform organizations and citizens in support of adopting Iowa’s non-partisan redistricting process. We forced the Republican-controlled Assembly to finally hold a public hearing on the issue last year and we have mobilized unanimous support from all the state’s daily newspaper editorial boards. This year, we took the leading role in forcing GOP legislative leaders to cap the amount of taxpayer money they will spend on defending Wisconsin’s unconstitutional 2011 legislative redistrict maps and to disclose the law firms they hired, and we have been all over the state educating Wisconsinites about the pending case before the U.S. Supreme Court, Gill v. Whitford, which declared Wisconsin’s 2011 maps illegal, and which would, if the nation’s highest court upholds a federal court decision, dramatically curtail hyperpartisan gerrymandering nationwide. 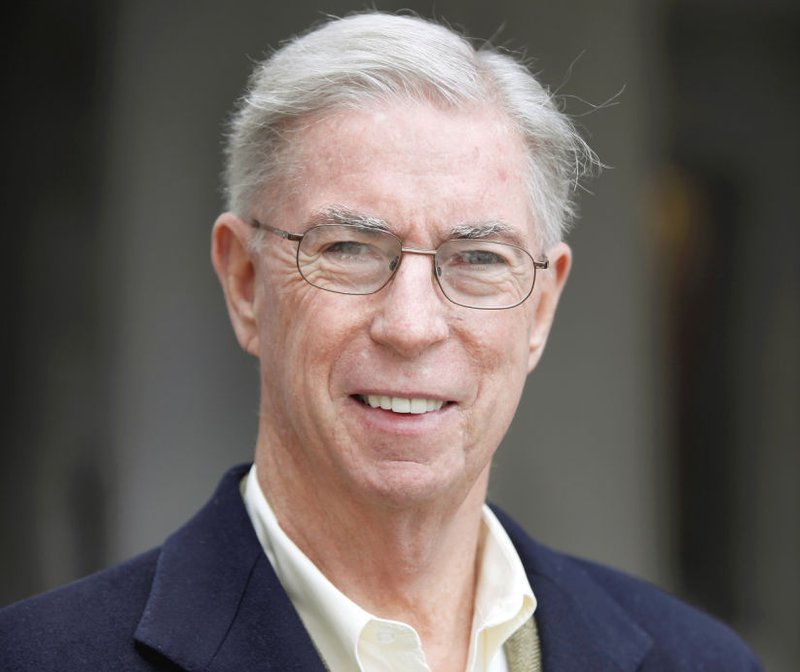 New CC/WI State Chair, former State Senator Tim Cullen of Janesville, is a leader in the landmark court case. 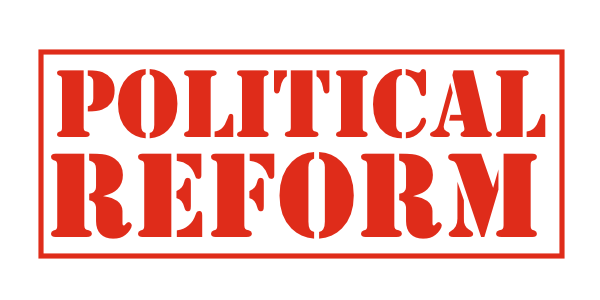 We have also gathered nearly 4,000 of our target goal of 5,000 signatures in support of redistricting reform legislation – Senate Bill 13/Assembly Bill 44 – which we hope to reach this Fall. If you have not signed the petition yet, or have but know others who haven’t, please go here and do so! CC/WI continues to counter the suppressing effect of Wisconsin’s extreme and restrictive voter photo ID law (in full effect since last year) by providing information to eligible citizens about what they need to be able to vote and what documentation they must have to obtain the requisite form of photo ID. We have been the leading resource for college and university students in the state to find out if their student ID is acceptable at polling places and how to get the correct form of ID if it isn’t. CC/WI partners particularly closely with the League of Women Voters of Wisconsin to get more citizens what they need to vote. This is critically important because the voter photo ID law caused Wisconsin to experience a large drop off in voter turnout in 2016 compared to 2012 and Trump carried the state by just 22,000 votes – in part because of this voter suppression. In June, CC/WI participated in a press conference in the Capitol to support a package of campaign finance reform measures, introduced by State Senator Chris Larson (D-Milwaukee), which we pointed out would merely restore to Wisconsin some of the laws we had in place 20 years ago and which have all been destroyed by Walker and the GOP-controlled legislature over the past seven years. We have a long way to go to get back to where we were, and educating Wisconsinites about what we need to do is crucial. In late July, CC/Wisconsin single-handedly reignited the important issue of recusal for judges in the receipt of campaign contributions or benefiting from special interest “outside” electioneering spending, with the recent opinion-editorial in the Sunday Milwaukee Journal Sentinel, Wisconsin’s largest newspaper. The conservative majority (5 of 7) on the Wisconsin Supreme Court last April voted 5 to 2 not to adopt sensible recusal rules for judges at all levels proposed last January by 54 retired state jurists, including two former Supreme Court justices. The majority would not even allow a public hearing on the matter. Wisconsin currently ranks 47th of the 50 states in the strength of its recusal procedures. But the issue is front and center in the upcoming Wisconsin Supreme Court election in April, 2018 to replace retiring ultra-conservative justice Michael Gableman, the state “poster child” for the need for judicial recusal. CC/WI is organizing public hearings and forums on the issue this Fall in Milwaukee, Green Bay and Madison and former jurists and you, the citizens of Wisconsin, will participate! Despite many other pressing state budget issues of great concern to Wisconsin citizens, Republicans in the State Assembly carved out time in June to vote on measures no one is calling for except for the American Legislative Exchange Council (ALEC) and some other wealthy special interest groups that bankroll the state GOP – such as Wisconsin Club for Growth. Measures to make Wisconsin the 28th state (of 34 needed) to call for an “Article V Constitutional Convention” passed. All are misguided measures written for the stated purpose of adding a balanced budget amendment to the U.S. Constitution, but which would take us well beyond even that draconian, disastrous outcome. A convention like this has never been called and assembled before in our nation's history since the first and only Constitutional Convention establishing the nation in 1787 and it could be a very destructive and dangerous event. It could extend well beyond a balanced budget measure and go on to alter or eliminate citizen rights currently protected by the Constitution. Voting rights, civil rights, women's rights, an end to democracy and freedom itself. The possibilities are endless. Seven Assembly Republicans joined all the Assembly Democrats in voting against the call for a convention. Public opposition and pressure by CC/WI played a big role in their opposition. Fortunately, prospects for passage in the State Senate appear much less certain at this time. GOP Senate Majority Leader Scott Fitzgerald (R-Juneau) has expressed grave reservations about the matter, as have other State Senate Republicans. But we will have to work hard to make sure it is not passed in that chamber because Walker is very supportive of it. If you would prefer to make a contribution to CC/WI online, go here. Or, you can call the CC/WI office in Madison to make a credit card payment/contribution: 608/256-2686. I will likely answer the phone and would be delighted to talk with you! Thank you for caring about democracy in Wisconsin. I am grateful to you. With just a few short weeks before students return to their public universities and private colleges in the state, this is a good time for them to make sure they are ready to vote in Wisconsin. Remember, everyone needs a specific type of photo ID to vote in Wisconsin. The next opportunity to cast a ballot is approaching sooner than you might think. Wisconsin's Spring Primary is on February 20, 2018 – followed by the Spring Election on April 3, 2018 – when we will choose a new State Supreme Court Justice, two Court of Appeals Judges, and Circuit Court Judges. If you value the integrity of our state's judicial system, mark your calendar with these two important dates, and then get ready to vote now so you're not scrambling later. The Spring judicial elections will be followed soon by elections for Governor of Wisconsin, the State Legislature, U.S. Senator, and members of the U.S. House of Representatives. Students will find straightforward information on registering to vote and voter photo ID. If students have a Wisconsin driver's license or Department of Transportation-issued Wisconsin ID card, then they already have an ID acceptable for voting. 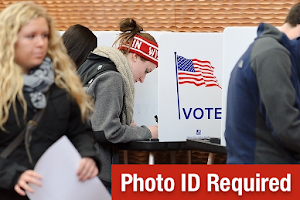 But, if they don't have one of these forms of ID, we provide information on alternative IDs for voting, including if the standard student ID at their school can be used to vote – and if it cannot be used at the polls, how and where to get an acceptable school-issued "voter ID" if their school offers one. We will continually update this resource as new information is received or changes. So please check back often. And share this link widely with anyone you know who is attending a college, university or technical school in Wisconsin! Get this done now, so you won't have to worry about it later.